Applications for the Stroum Center’s 2019-2020 graduate fellowship are due Friday, March 31, 2019. Apply now! This interdisciplinary fellowship program supports MA and PhD students in departments across the University of Washington whose research relates to Jewish studies. Past Fellows have come from departments ranging from history and comparative religion to education and information science. Graduate students from all departments and disciplines are encouraged to apply. Any graduate student planning to be enrolled at the University of Washington in the coming academic year is eligible to receive the fellowship, as long as they can demonstrate a strong connection between their research and Jewish studies topics. However, applicants should have some past coursework related to Jewish studies. The amount per fellowship is $3000, and students are welcome to apply for fellowships more than once, regardless of whether they have received previous funding from the Stroum Center. 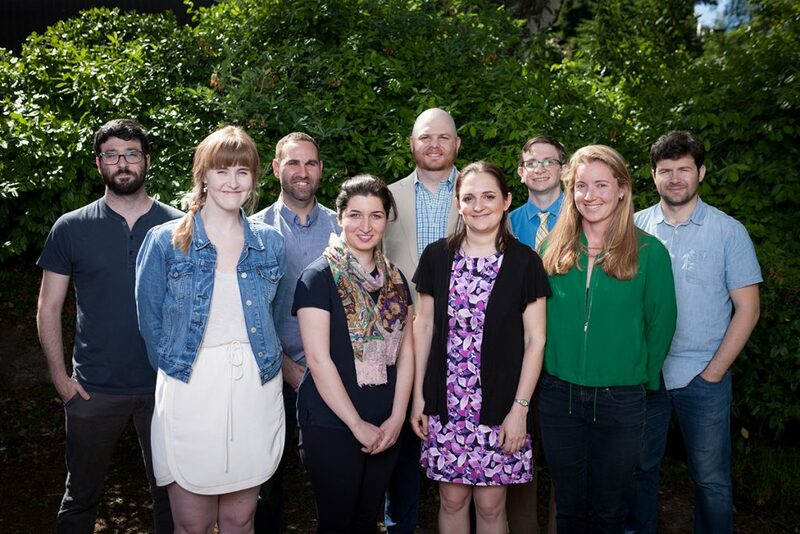 During the fellowship, Graduate Fellows conduct research connected to Jewish studies and present their work at a public event in either winter or spring quarter, as well as through two short articles written for the Stroum Center’s online journal. Fellows also participate in monthly workshops exploring the history and methodologies of Jewish studies; receive professional development in the areas of public scholarship and academic skills; and have many opportunities to network with Jewish studies faculty and receive feedback on their current and future research agendas. Graduate Fellows are also encouraged to attend talks given by faculty and guests of the Stroum Center for Jewish Studies, as well as public events sponsored by the Stroum Center. Applicants will submit: a CV, a current unofficial transcript, a description of the planned research project, and a letter of recommendation from a UW professor. Applications for the Stroum Center’s 2019-2020 graduate fellowship are due on Friday, March 31, 2019. Apply now! Students whose research relates to Israel are also welcome to apply for an Israel Studies Graduate Grant during the same time period. Browse articles written by past Fellows and learn more about the present and previous cohort of Fellows on our Graduate Fellowship portal.